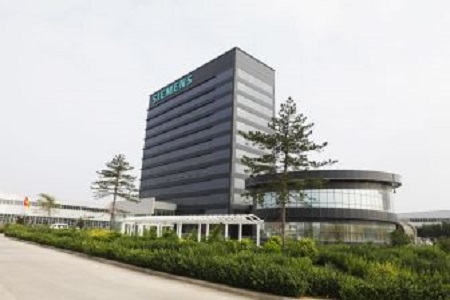 Siemens Special Electrical Machines Co, Ltd (SEML), a joint venture established by Siemens Ltd, China and Shanxi Lu An Mining Group Co, Ltd starts business operation. The joint venture offers large and special motors and generators as well as other electrical products to China market. The large and special motors are widely applied in the field of coal mining, chemical, oil & gas and other industries. SEML locates in the city of Changzhi, in north China’s Shanxi province. The new venture is formed based on the major part of Shanxi Explosion-Proof Motor (Group) Co, Ltd (SEMGC), a subsidiary of Shanxi Lu An Mining Group, one of the five leading chemical and energy enterprises in China’s coal-rich Shanxi province. “The partnership between Siemens and Lu An Minging Group will lay a solid foundation for our onward development. Siemens’ technology leadership, together with the SEMGC’s production capabilities and established market presence, will open up favorable future prospects for the new joint venture,” said Mr Li Jinping, Chairman of Lu An Mining Group.